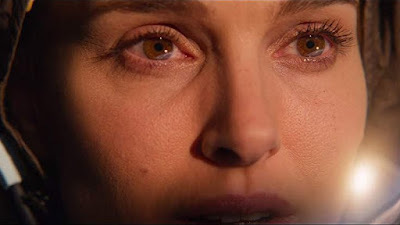 After encountering an alien presence in Annihilation and becoming a pop sensation in Vox Lux, Natalie Portman is headed off into outer space in Noah Hawley's Lucy in the Sky. Formerly titled Pale Blue Dot, the film draws inspiration from the real-life astronaut Lisa Nowak, infamously known as the "Diaper Astronaut" who drove from Houston to Florida to kidnap the lover of a fellow astronaut. In Hawley's hands, this story takes on an almost otherworldly quality. In the film, Portman plays Luca Cola, who returns from exploring the vastness of space and is unequipped for the mundane reality she faces. Her husband, played by Dan Stevens, can't relate, and so she forms a relationship with someone who can understand, a fellow astronaut played by Jon Hamm. When that too goes up in smoke, Lucy has a breakdown. Alongside Portman, Hamm, and Stevens are Zazie Beetz, Ellen Burstyn, and Colman Domingo. Here's the synopsis: “Lucy In The Sky” centers on a married astronaut who returns to Earth after a mission and begins an affair with a fellow astronaut. She heads into a downward spiral as she loses her connection to her family — a condition that can afflict those who spend a long time in space — and when her lover begins another affair with an astronaut trainee, the bottom drops out. Lucy in the Sky opens later this year.